Provide comfort for the family of Garnet Wright with a meaningful gesture of sympathy. Garnett Anthony Wright was born on August 22,1952 to his late parents Septimus and Veta May Wright in the district of Lancaster Manchester Jamaica , West Indies . Garnet received his formal education at Frankfield All Age School. Garnet enrolled in trade school where he excelled in architectural studies . As a young man Garnet developed a love for sketching and designing homes . Through observing family members who were masons and contractors along with self-practice , Garnet was able to excel at a professional level completing small home renovations . In his early twenties Garnet traveled back and forth to the United States as a farm worker. In 1978 Garnet made New York his permanent home. Garnet began working in construction as the years passed he had an extensive list of private clients throughout Westchester , New York and New Jersey . Due to his popularity in his field he gained the nickname “The Contractor”. He completed his jobs to perfection providing him the ability to maintain steady employment until his untimely death . Garnett was an active member of his church and he devoted his free time and energy as a caregiver to family and friends. Garnet was preceded in death by his parents Septimus and Veta May Wright , beloved sister Mary Wright and brother Emmanuel Wright . He leaves to cherish his precious memories , daughter Marvine , sons Junior and Jason Wright , grandchildren Nicardo and Ronaldo . Devoted Brother Veron Wright , Adoring Sister Karen and Christine Wright a host of nieces , nephews, cousins , and other relatives and friends . 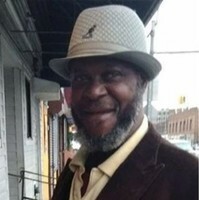 To send flowers in memory of Garnet Anthony Wright, please visit our Heartfelt Sympathies Store. We encourage you to share your most beloved memories of Garnet here, so that the family and other loved ones can always see it. You can upload cherished photographs, or share your favorite stories, and can even comment on those shared by others. Provide comfort for the family of Garnet Anthony Wright by sending flowers.